Comtrend launches G.hn Ethernet over Coax Adapter creating a truly simple and affordable alternative to WiFi for home networking. Comtrend, a leader in advanced networking solutions, introduces its first standards-based G.hn Ethernet over Coax Adapter, the GCA-6000. The GCA-6000 introduces a new standard in coax networking, and uses existing coaxial (cable) lines to bring high performance Internet throughout a home or business, including remote areas with WiFi dead spots. Coaxial lines are now more available than ever to deliver highly reliable and fast Internet, making it an excellent option for Telco, Cable, and Satellite service providers, and VARs alike. As most homes are already wired with coaxial lines, it eliminates the need for costly rewiring and unnecessary truck rolls. 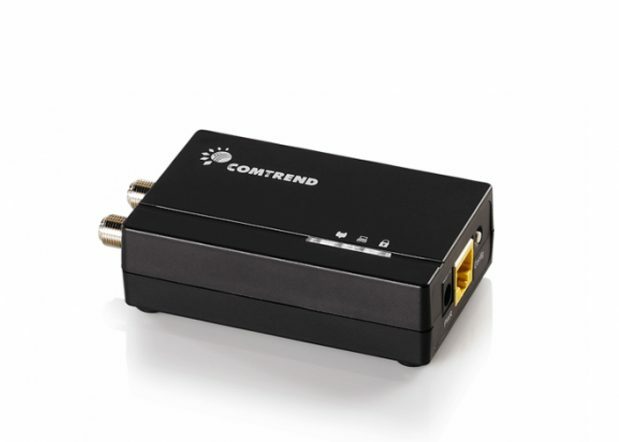 Comtrend’s new G.hn Ethernet over Coax Adapter offers all of the benefits of standard coax technology, while also providing the superior features of G.hn such as delivering gigabit level performance and using technologies such as LDPC FEC (Forward Error Correction) to deliver an enhanced video streaming experience. The GCA-6000 is also extremely accessible to consumers. With its plug-n-play setup, consumers can easily create a fast Ethernet network through their coaxial lines and deliver high-performance Internet access to their connected devices within minutes. Consumers can take full advantage of the latest high-bandwidth applications and services such as streaming of HD TV, UHD/4K TV, OTT services, access to cloud-based resources, and online gaming. Comtrend was the first company to pass G.hn HomeGrid Forum certification standards with its PG-9172 G.hn Powerline Adapter, and has continued to show its commitment to G.hn with the release of a G.hn Power over Ethernet (PoE) Powerline Adapter and G.hn Wireless Powerline Adapter this month. Please note, the GCA-6000 will coexist with most services such as Broadband, Satellite, and FTTx, however, it is not recommended in environments where Cable services are being actively used (Internet/TV). The GCA-6000 is currently available to sample. Please speak to your sales representative or email NA.Sales(at)Comtrend(dot)com to acquire samples today.